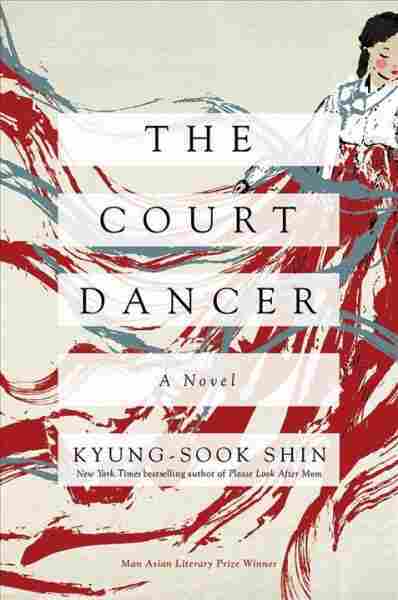 Graceful 'Court Dancer' Can't Escape Her Sorrows Kyung-Sook Shin's atmospheric, tragic novel follows a beautiful orphan whose dancing skills secure her a place at the Korean court, and later a life in Belle Époque France — but not happiness. When we first meet Yi Jin, the lithe heroine of Kyung-Sook Shin's atmospheric, tragic novel The Court Dancer translated by Anton Hur, she stands at a ship's helm beside "a tall Frenchman, his pale face covered in a mustache," while she holds "a hat embroidered with roses and a coat to wear later when the wind blew," with a "light blue dress that rustled like lapping waves." That last image is appropriate, since Jin is gazing out on the ocean for the first time. Her Western garb strikes passersby as shocking, since at that point in time Korea, the original "Hermit Kingdom," was largely sequestered from the wider world. Jin's cross-cultural cross-dressing will not be the last time she serves as a bridge between East and West. The year is 1891; Yi Jin is 22. Her beauty is remarkable enough, the "dazzling nape of her neck," her eyes "like indigo marbles set in her smooth-complexioned face." But it's grace of movement which allows the young woman truly to stand out. As a favorite of the Queen in the fabled court of the Joseon Dynasty, Jin becomes the most celebrated dancer in the land. The highly mannered Dance of the Spring Oriole is her trademark, a means to an end for the beautiful low-born orphan girl who performs her way into the royal inner circle. At court, Jin's delicate yet intense presence captures the attention of Victor, the French legate, a connoisseur of Asian objets, notably celadon ware, Buddhas, and lacquered furniture. In Jin, the collector has met his human collectible. Victor's enraptured passion sets in motion a series of adventures that are based on real historical events. The ship we see at the beginning of the novel sweeps the court dancer off to Paris, where she is made much of as literally the only Korean woman on the boulevard. It's a mixed blessing, being so notable. At one crucial point well into the tale, Jin and Victor come across a monstrosity straight from the pages of history, a zoo-like exhibition of African villagers in the Bois du Boulogne, where transported men lunge with spears, bare-breasted women balance buckets atop their heads, and naked children stare back at the top-hatted observers staring at them. (At one time a similar racist tableau existed at Coney Island.) Jin is justifiably horror struck, relating all too well to the unfortunates on display. She herself cannot walk out her door without drawing unwanted — and unwonted — attention. Identity becomes the central, defining conundrum in The Court Dancer. "Who am I?" the orphaned Jin constantly asks herself. If she is not a Korean lady or a French madame, what is she? She has long heard of the glories of the Louvre, but when she visits finds herself wondering what right the French had to loot such treasures as the Venus de Milo from other countries. She demands that Victor tell her if certain priceless national artifacts from her own country might also be in the museum; he answers only, "No, they are in the National Library." She feels increasingly that her country is on display and that she herself is an exhibit: "People here look at me like the things you have collected, Victor." Sorrow threads itself through the pages of 'The Court Dancer,' yet there is a richness both to the period and the narrative as beautiful as any silk fan. Falling in with Guy de Maupassant and other Belle Époque luminaries, Jin engages with the Parisian literary culture of the day, even translating Korean fiction into French and vice versa. She makes beautiful embroidered silk fans another artistic calling card, selling them to upper-crust French ladies at Bon Marche. Eventually, under the weight of her continuing identity crisis, Jin returns to Korea, but there is no happy ending for her. Sorrow threads itself through the pages of The Court Dancer, yet there is a richness both to the period and the narrative as beautiful as any silk fan. Kyung-Sook Shin has become one of South Korea's most popular authors, and for good reason. Her deep understanding of the subtleties of the human heart effortlessly crosses borders and informs her portrait of a different place and a faraway time.